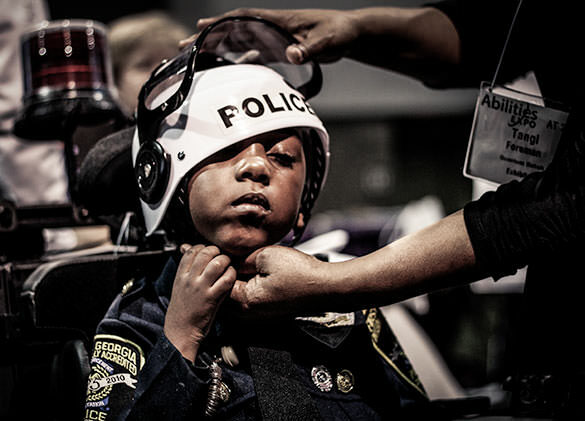 Morgan Steward is fascinated with police officers. According to his mother, Tangi, he has always wanted to be one. "He's only five years old, but he already has big dreams," Tangi said of her son. "Being a police officer is all he talks about." 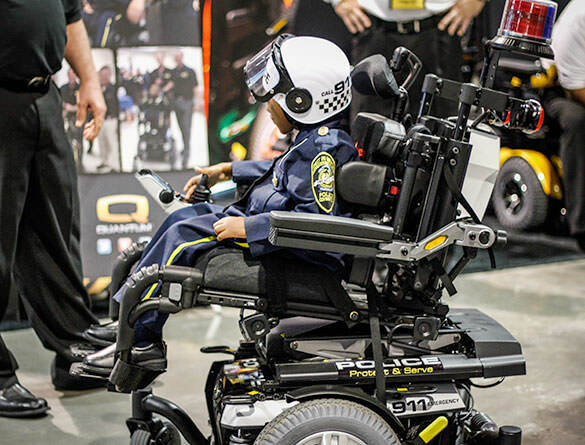 Morgan, who has spinal muscular atrophy and uses a Q6 Edge Power Chair from Quantum Rehab, got his wish when his hometown of Covington, Georgia, made him an honorary police officer. The town celebrated Morgan's accomplishment on Dec. 17, 2013, which was named "Officer Morgan Day." "The way the whole town came together to support him was just incredible," Tangi said. "He was publicly honored by some local congressmen, too." In addition to leading the town's Christmas parade, "Officer" Morgan did some police work, which included stopping a bank robbery, recovering some stolen art and helping people cross the street, all while wearing his brand new police uniform. As a special treat, former NBA star Shaquille O'Neal helped out at the event, which received live television coverage throughout the day. Shaq helped Morgan rescue a cat from a tree and then led the crowd in a holiday sing-along. "Morgan was simply in awe of Shaq's height," Tangi said. "He thanked him for his help afterward." In March 2014, Morgan received a Q6 Edge that was designed to look like a police vehicle. 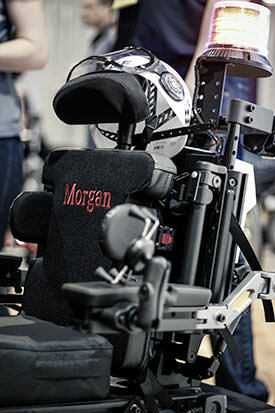 The chair is complete with a functional siren and TRU-Balance® 3 Power Positioning Systems, which allows Morgan to converse with his friends eye-to-eye and access things that are normally out of his reach. 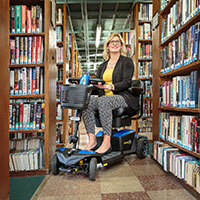 "Morgan loves the speed, lift and recline on his police chair," Tangi said. "He's intrigued by everything the chair does." In addition to giving him the freedom to do what he wants, Morgan's Edge goes with his outfit. "He already had the uniform; he just needed the vehicle," Tangi said. "Now, he's waiting for his office," she said laughingly. Since Morgan was sworn in as a police officer, many people have wanted to meet him, and those who do tell him how inspiring they find him. "They're just astonished at how happy he is," Tangi said. "And so am I. Seeing my son happy makes me happy." In addition to his hometown, Morgan has the support of a loving family, which also includes his father, Barron, and two siblings. His sister, Delana, is eight, and his brother, Dejaun, is 15. 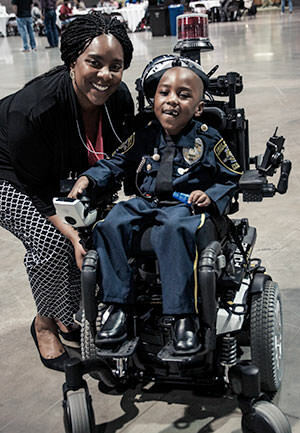 Like the police officers he has always admired, Morgan himself has become a hometown hero. "The police department wants to include Morgan in more of their events now," Tangi said. "They do annual 5,000-meter runs and Fourth of July celebrations." Tangi says that since Morgan became a police officer, nothing is scary for him. "No matter what happens, he just says, 'I'm Officer Morgan; I can handle it,'" Tangi said.